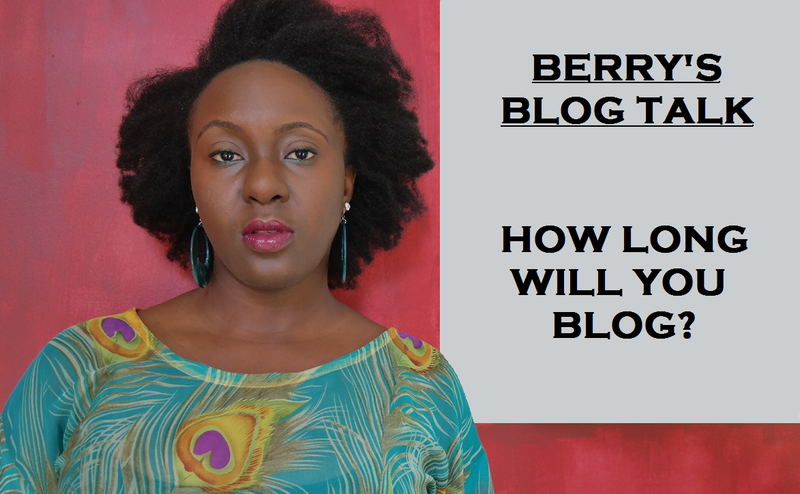 Berry Dakara: BLOG TALK: How Long will You Blog? "Where do you see your blog in 10 years?" "Erm, will I still be blogging in 10 years?" You see I'm not exactly a teenager, and in 10 years I'll be a few years shy of the age my grandmum was when I was born! I think it's fair to say that right now, most bloggers are in the twenties to thirties age range (at least the bloggers I know). 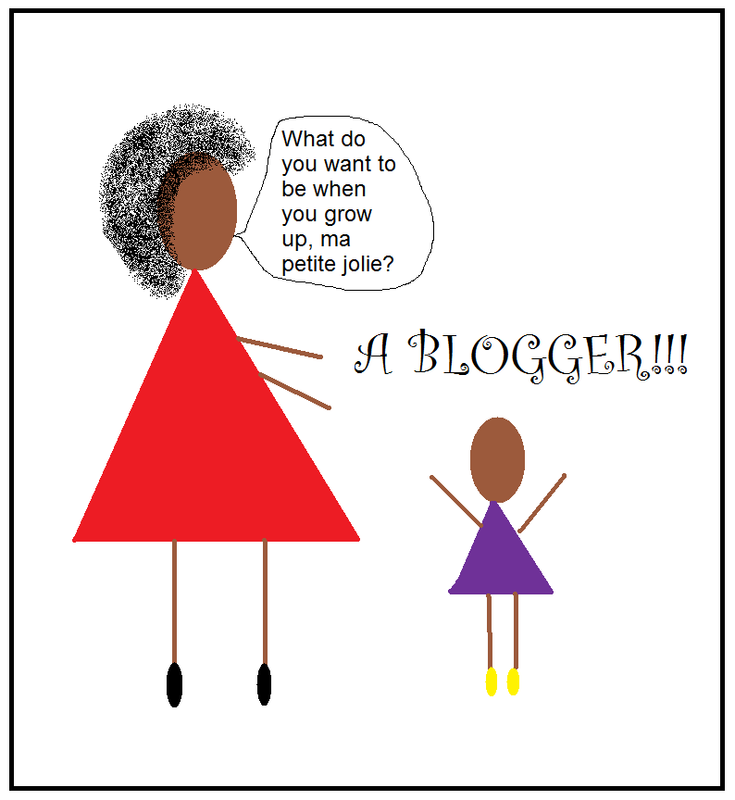 What would the Blog Scene be like in 10 years, when the thirty year-olds are in their 40's? For the record, there are fabulous 40+ bloggers out there. It's one thing if Blogging was a "proper" career path. Yes, bloggers are making great strides and there are those who have been able to translate their blogs into their full-time jobs, and are making it big (like MILLIONS big). But the majority of bloggers are doing it as a hobby, or to have residual income and I wonder about the longevity of their blogs. I think a lot of blog readers are about the same age of the bloggers they follow, so ideally, the readers would still find the blogs they read relevant to their lives, right? At some point, reading my experience about being a parent to an infant->toddler->pre-schooler->->->teenager->adult; becoming a grandparent, etc would be relevant to you, right? GOSH, THE THOUGHT IS SO FREAKY TO ME! Well, for right now, I'm not sure I'm looking at the blog in the long long term. I've been blogging for 3 years (2 years here), and I'm still a newbie compared to those who have been blogging for 6, 7, even 10 years or more. I really enjoy putting my thoughts into words and watching them come alive in the blog posts. I'll just keep taking it one step at a time. But if you blog, let me ask you... How Long Will You Blog? I really like what you do and this here is an eye opener. Idk how long I will be blogging but I know when new doors open I might just walk in and make a different way of expressing myself. I agree. I like connecting with people I would otherwise never have encountered. LOL, I like the picture you attached to this post, in 10 years time Blogging might actually be a feasible career path. I don't think I will stop blogging. 1qfoodplatter is run by a busy and successful career woman and mother and she posts regularly with amazing image quality. I don't think my love for taking pictures will die, I don't think I'll stop eating out, I don't think I'll stop wearing nice clothes, I don't think I'll stop growing/taking care of my natural hair, I don't think I'll stop traveling and I don't think I'll want to stop sharing my experiences. I might not be able to blog as frequently because of the responsibility that comes with getting married, raising a family, etc but I won't just stop. Well, there you go. If you won't ever tire of being you, why tire of sharing and blogging? Hmm not sure how long I'd be blogging for, considering how lazy I am with it but as long as I write stuff down I think I could still blog nonetheless. That's a huge one for starter bloggers like me, I think il just keep blogging as long as I can think and write too. I actually just use my space on the Internet to put up stuff I had written and It's refreshing for me, so I guess il just blog as long as I can still think! I like how a lot a of the comments are that as long as you're still writing, then you'll keep blogging. Truedat! It's a diary of sorts, innit? When it comes to blogging, I choose to live in the moment. I have been blogging for over 5 years, through highs and lows of my life. I don't see myself stopping blogging anytime soon sha. I'm honestly not sure. These days I feel like quitting for even the tiniest things so imagine what will happen when I'm all swamped up. I think it happens to every one every now and then. Especially when you're really busy. But you can always take a break, and shouldn't feel pressured to return until you're good and ready. I totally feel you and wholly agree. I hope to write, but hopefully not still on the Blogger platform in 10 years. I follow an international blogger, who I think started off as a beauty blogger. She's close to having her baby, and even though she's mostly stopped beauty posts, a lot of her readers are soooooo interested in her maternity posts. And I daresay some beauty bloggers will continue wearing makeup while pregnant and after giving birth - same with style bloggers. I've been blogging on different blogs for almost 6 years. Will I ever stop? It's highly likely. I mean, I might be the laziest blogger in the world. When? I do not know. Till then, let me be doing my thing. I've been blogging for 2 years, almost 3 and i'll blog as long as I can keep the balance in my life. i think the comments on here are pretty cool. it'll be interesting to come back on here couple years down the line and read these comments (at least for this reason you MUST continue to blog, Berry. lol).